Black Plastic Caps are sold separately. If you don�t see what you are looking for here, search all of our Lug Nuts here. 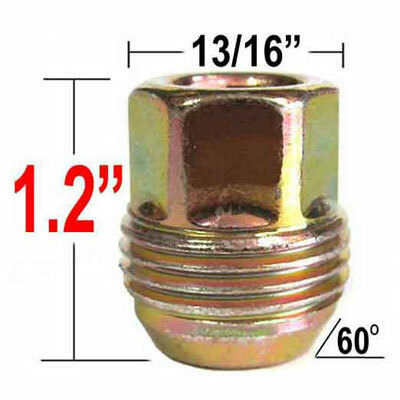 Excalibur lug nuts are engineered to exacting standards for uniformity and long life. You can match your factory lug nuts with a quality replacement of GM Zink Plated 14mm x 1.50 thread lug nuts which will help your wheels keep turning true. Enhance your exterior with our new GM Zink Plated lug nuts for that finished look.